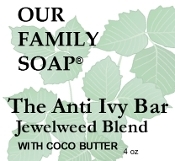 Our classic soap infused with Jewelweed, Chickweed & Plantain. Often used to combat Poison Ivy, Poison Oak, Sumac, Stinging Nettle and some insect bites. Use before going out into the Great Outdoors to help reduce effects of contact with the above plants. Use after contact to help ease the rash, itch and discomfort. 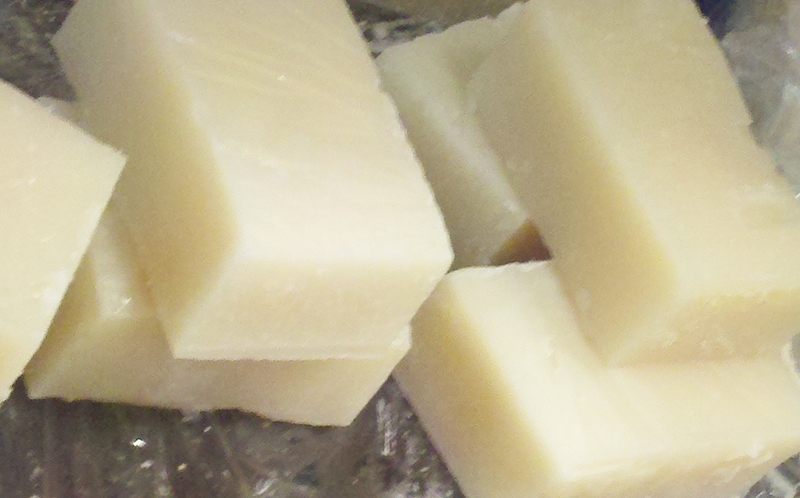 Brought to you by "Mother Nature"
A combination of olive oil, coconut oil, palm oil, sodium hydroxid (lye, neccesary for soap making.) coco butter, Chickweed, Jewelweed & Plantain infusion. A generous 4 oz. bar.